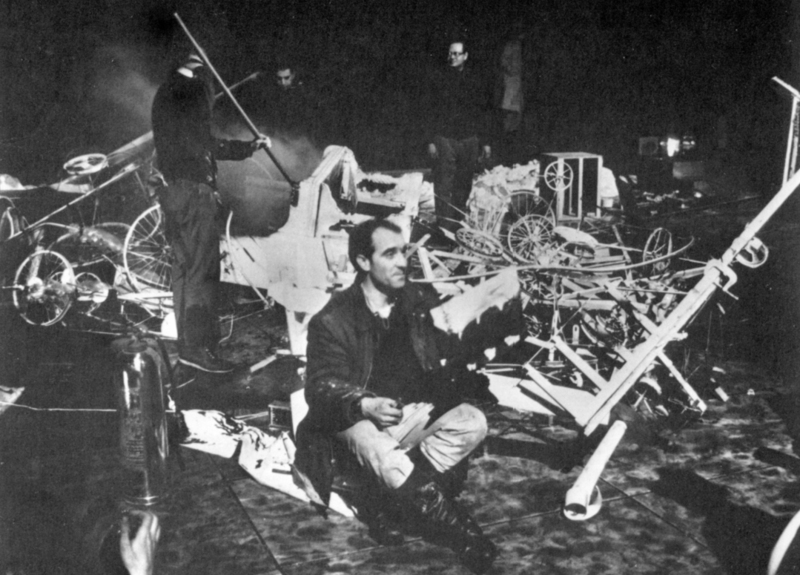 A revelation today when reading Billy Klüver’s description of the infamous Homage to New York, Jean Tinguely’s 1960 self-destructing, joyfully suicidal kinetic sculpture that blew itself apart, monumentally, in the sculpture garden of the Museum of Modern Art. The ephemeral nature of this transformational work, explosively transient in its brief 30 minute lifespan, was a visceral rendering of the dissolution of the object, an idea that pervaded 20th century new media and conceptual art. Klüver was very precise when he declared Tinguely’s sculpture as “the reality of the immediate now.” For in the socially tumultuous era of the 1960s, the notion of documentation, preservation, formalism and perfection was to be abandoned for a form of anarchic poeticism. 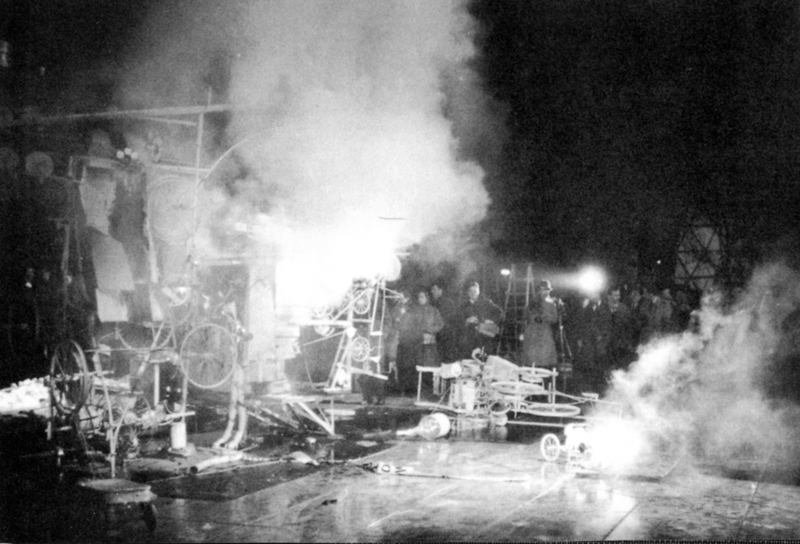 While many viewed Tinguely’s shocking demise of the machine as a homage to the negative forces of the modern era of technology, this couldn’t have been further from the truth. His sculpture of stink bombs was like a weed, shooting up ecstatically for a few wild moments, before returning itself gloriously to the junkyard from where it came. It’s pieces of flying metal, smoke, and fire breathed like a dragon at the astonished audience, declaring proudly, art must be dangerous to be relevant, art must be of its time, art must exude energy. Aesthetics be damned, it was experience that counted, and what better describes our contemporary experience of media as that which draws us squarely into the riotous now of experience. Electricity is real-time, it doesn’t wait, and art made of electrons must, according to Billy Klüver, not be about protecting the past, but rather, embrace the ever-changing reality from birth to destruction: the beauty of the ephemerality of the moment, alive and then dissipated, here and gone, charged with the catharsis of its transitory trajectory of annihilation.